While much of a freelance travel writer’s life is spent out on the road, meeting new people and experiencing new cultural traditions, foods, and ways of looking at the world, it can also be isolating, especially when you get home and get writing. Unlike traditional office jobs, there’s no water cooler, no after-work happy hour, no company picnics, and no annual holiday parties to embarrass yourself at. And though many writers tend toward introversion and thrive when they are alone with their thoughts and their words, having colleagues to celebrate victories, commiserate over losses, and simply scratch each other’s backs when the need arises can be a huge boon for even the most solitary of writers. That’s why it’s so important, as a travel writer, to find your tribe. 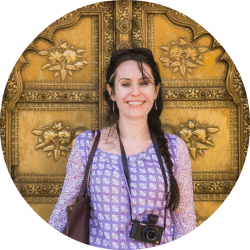 I started out my travel writing career as an editor in India, working for a magazine in an oftentimes cacophonous office full of colleagues. While the loud office environment sometimes made it difficult to write, being around other like-minded writer types with a common goal in mind was incredibly helpful—not only in terms of getting feedback and sharing ideas but also in maintaining morale. By the time I moved back to the U.S., I was a full-time freelancer, and while I had some fellow freelance colleagues back in India, I knew very few people working in the field in the United States. I had few contacts outside of editors I’d worked with in the past. So, I started going to travel writers’ conferences, joining online groups for people in the field, and generally forcing myself to get out and network. While networking certainly helped me hear about new opportunities in the industry and increase my contacts, the value I got from essentially finding my tribe went far beyond the obvious monetary payoffs. For example, if I haven’t heard back from an editor for a while and am unsure whether writing to her would come across as a helpful nudge or an annoying pester, I can turn to my tribe for their opinions. If I’ve got a great story idea and not sure who to pitch, my tribe is there to give suggestions. And if I’m feeling bummed because a magazine I was writing for folded or a story I was working on got canned, my tribe is there to remind me that such things happen to the best of us. But, most importantly, travel writers are generally fun, interesting, warm people. Not only do they tend to be well read (because being a good writer starts with being a good reader), but they also tend to be adventurous, friendly, curious people with lots of great stories to tell, people that inspire those around them with their ingenuity and zest. While finding my travel writing tribe has helped me in more ways than one, the inspiring people it has introduced me to is what I value the most.